Please note that the following is entirely fan speculation on my part. You can disagree or agree as you like. It's just a neat idea I came up with given the new canon established for lightsaber colors in the Star Wars Universe. Now, note also that I'm sticking with the canon as established, but still tying the Star Wars: Legacy comics by Dark Horse into the mythology, as they take place over 100 years after the current films, and 135 years after Return of the Jedi. In the end, what I'm saying is, I don't care about orange and rainbow lightsabers from the old Expanded Universe, and how whether you were a Jedi Guardian meant green. I'm exploring the idea of the white lightsabers that first debuted with the Imperial Knights in Star Wars: Legacy and how they might have come to be, based on how Ahsoka got hers in the canon novel Ahsoka. Also note that all images here are linked directly from Wookieepedia. I don't own them. Now that I've got all that rambling out of the way, let's check it out. I won't address the Darksaber, as we don't have clear information on why exactly it has a black blade. We just know that it's an entirely unique saber with a flat blade created by the only Mandalorian Jedi ever. Common and uncommon lightsabers are colored as they are based on the kind of kyber crystal that focuses their beam--it's that simple. Green crystals make green lightsabers, etc. Much like a Harry Potter wand, the crystal chooses the Jedi during a trial they face, usually (but not always) on Ilum. I have deemed yellow an uncommon color as we've only seen it wielded by Jedi Temple Guardians in Clone Wars and Rebels, and, if I'm not mistaken, a few times in the background. Yellow-bladed lightsabers thus present a conundrum within canon as they've never been clarified. It could be theorized that any Jedi padawan who is chosen by a yellow crystal is thus destined to become a Temple Guardian. Alternately, there may be a ritual undergone by Temple Guardians to color their crystals yellow, in a similar manner as bleeding, below. Technically, according to Wookieepedia, Mace Windu's lightsaber is no different, simply having its shade from an unique amethyst khyber crystal. That's fine, but I like to think his saber has something to do with the fact that Windu always walks a delicate line right on the edge of the dark side. After all, purple is what you get when you combine blue and red. It's also worth noting that Wookieepedia also claims that kyber crystals are colorless until chosen by a Jedi. 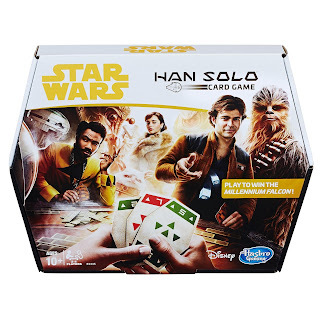 This, however, contradicts their appearances in media, wherein they are colored when they choose the Jedi, and wherein crystals are found that are already colored, as with the giant green crystal Obi-Wan and Anakin find on Utapau in Clone Wars Legacy. There is an example of a colorless crystal in canon--the one worn by Jyn Erso in Rogue One. It's more likely, then, that there are un-colored kyber crystals, and that these have yet to be energized, being either dormant or inert, and that it's only when energized, they take on their eventual color. 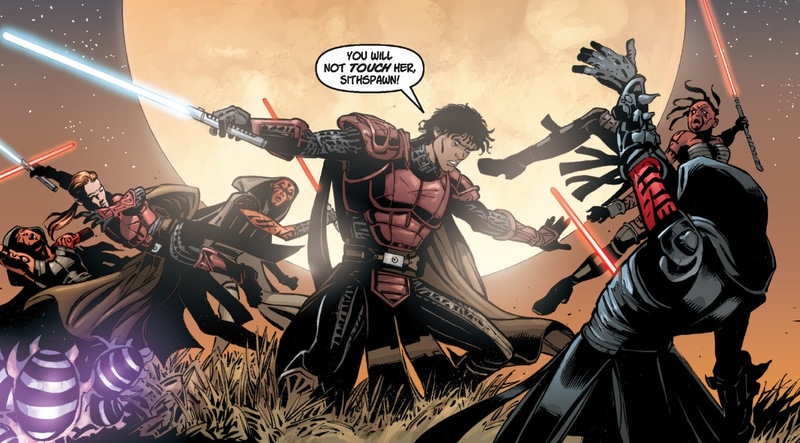 The reason dark siders have red lightsabers has nothing to do with the type of crystal they use, but everything to do with the fact that the dark side adept pours all of their anger, hate, and aggression into their crystals, causing them to turn a bright crimson color--a ritual known as "bleeding." When one considers this, it's possible that had Obi-Wan not taken Vader's blue saber, eventually Vader may have turned it red by bleeding the crystal. The reason dark siders do this is that khyber crystals are inherently aligned with the balanced, "light" side of the Force, and will eventually begin to resist a dark side user. By bleeding the crystals, they are corrupted, allowing for their use by dark side wielders. 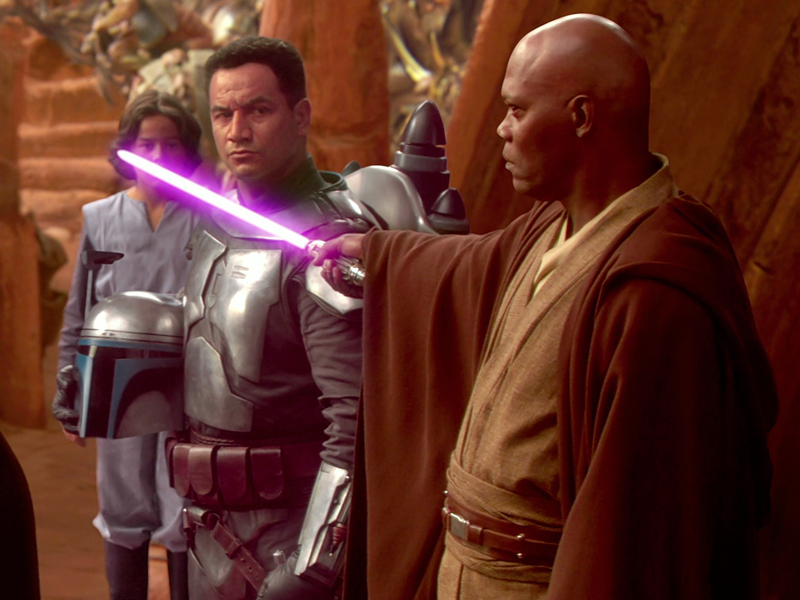 I like the idea, then, that Mace Windu's lightsabers were originally blue, and though he never "bled" them, his constant straddling of the line between light and dark caused a bit of bleeding to occur naturally, over time, and the blue crystals turned purple, a constant reminder that Mace had to keep his rage, aggression, and anger under control. 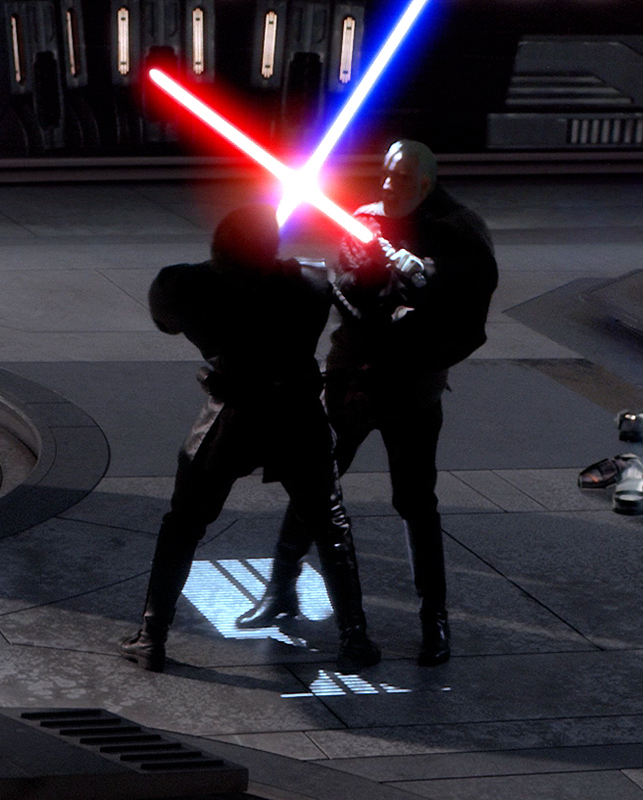 We've seen white lightsabers two different times, and only once in the current canon. Originally, they appeared in Star Wars: Legacy, where they are referred to as "Silver" bladed sabers, but wherein it is clarified at least once that they produce a brilliant white light. These sabers are exclusively wielded by the Imperial Knights, a light-side sect of Force wielders that serve the Fel Empire (and who are called "Gray Jedi" by the Jedi order). But let's not get ahead of ourselves. 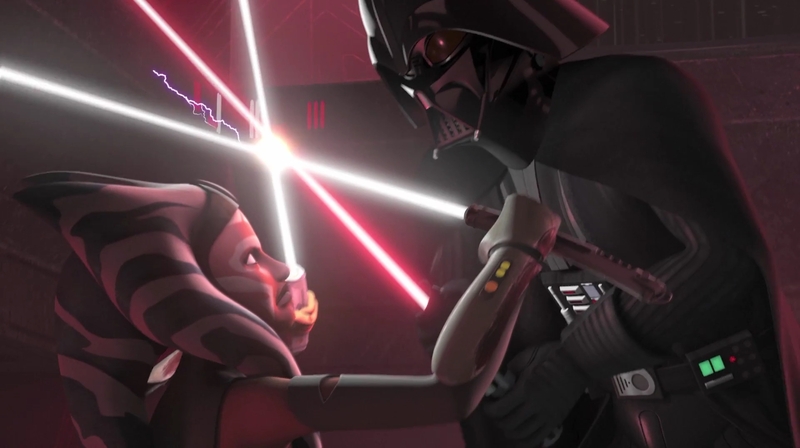 The sole canon appearance (in current canon) of white lightsabers is in the hands of Ahsoka Tano in Star Wars Rebels. These sabers first appear in Season Two when Ahsoka unleashes them against the Inquisitorius to save Ezra and Kanan. This launched a great deal of fan debate about where she got them, whether they were her original lightsabers somehow turned white when she left the Jedi Order or whether she somehow found white crystals. The answer was given in the canon novel Ahsoka, which shows what happened to Ahsoka between Clone Wars and Rebels. To put it very briefly, she's in hiding and no longer has her lightsabers. Even though she's no longer a Jedi officially, the Empire would still consider her one, so she is keeping her head down and just trying to survive. In that novel, Ahsoka faces an Inquisitor (the Sixth Brother), who she defeats, and takes his Kyber Crystals. Because they are red, they are unsuitable for her uses, and yet, she somehow senses that they are meant for her. As such, she uses a sort of reverse ritual from Bleeding, a means by which she pours the light side of the Force into them, to purify them. This drains the red color from them, and leaves them pure white. In this way, Ahsoka becomes, after a fashion, the embodiment of what the light side should be; she's removed from the mistakes and arrogant dogma of the Jedi, and becomes a paragon of the balance the light side represents. In a sense, she is the ideal that the Jedi order sought, but couldn't become. And we see in the final episode of Rebels that Ahsoka is still alive after the Battle of Endor...so she goes on! As a side note, this does lead one to wonder why she didn't come forth when Luke Skywalker tried to establish his new Academy, but if you think about it, she probably wouldn't bother. She left the Jedi Code and all of their teachings behind a long time ago, and it would certainly be a case of "once bitten, twice shy" with her. She'd stay clear and wait for it all to go bad again (which, as we know, it did). Now let's get into the Imperial Knights. Though currently established as part of the Legends continuity, since they're so far ahead of the current canon, it's fair game, to my mind, to leave them in place, as nothing has yet directly contradicted the events of the Legacy comics. Plus, I'm just a massive fan of the Imperial Knights. I am not a fan of most of the old EU, but the Legacy comics, to me, were the first ongoing stories to really capture what to my mind was the essence of Star Wars in the EU. Seriously, if you haven't checked it out, do so. There were two volumes--the first volume focuses on Cade Skywalker, the distant descendant of Luke Skywalker (and, in this continuity, Mara Jade), a former Jedi padawan who is on the run from his legacy following the destruction of the new Jedi order by a resurgent Sith order. This was followed up by Legacy--War! which concludes the storyline of Volume One. The second volume focuses on Ania Solo, a descendent of Han and Leia who is very much not Force Sensitive and wants nothing to do with galactic politics. In all, there are 74 issues, which have been released as trade paperbacks. In any case, the Imperial Knights form a major part of the storyline. In this era, there are four factions at war in the galaxy. The first is the Galactic Alliance--the remnants of the defeated New Republic. 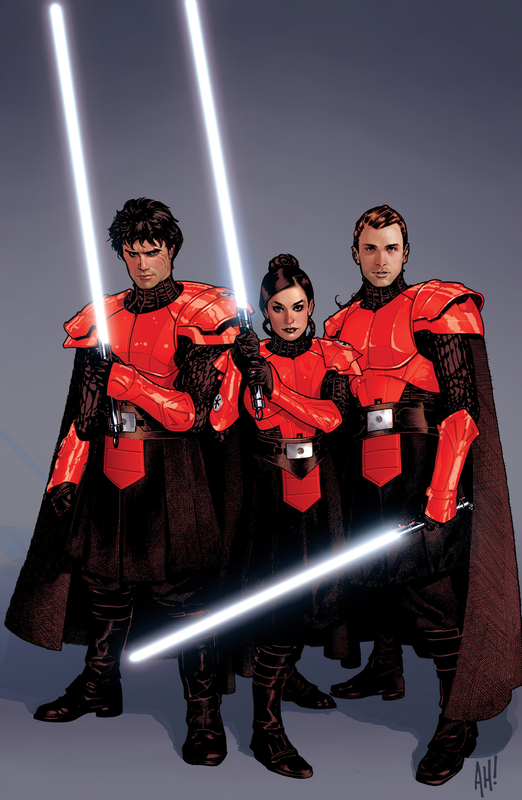 The second is the Sith Empire--a resurgent Sith order where there are again armies of Sith. The third is the Jedi Order, who are still nominally good guys, but have been decimated, are in hiding, and are their own sect, no longer directly affiliated with the former Republic. Finally, we have the Fel Empire, the reformed Galactic Empire which is no longer evil, but is still militant. It's also been overthrown by the Sith. The Fel Empire has its own Jedi order, the Imperial Knights. While very much a military order, the Knights are also light side. They take an oath to serve the Emperor (who is also the head of their order) as the embodiment of the light side, and part of their oath is to kill him if he ever falls to the dark side. They view the Force as a tool to be used, while still remaining acutely aware of the dangers of anger, fear, hate, and aggression. The Imperial Knights, to the last, wield white lightsabers (first called "silver blades" but later referred to in the comics as white). At some point it is stated that the Imperial Knights use synthetic crystals and that's why their blades are white. It should be clarified, however, that it is also stated they used a formula to create crystals that was invented by Palpatine and was also why the Sith had red crystals; the Imperial Knights, by removing the Dark Side from the equation, generated colorless crystals from the same formula. Since that particular piece of EU background has been ejected in favor of the new canon "Bleeding" explanation, and we now know in canon why lightsabers have white blades, a new explanation is in order. Certainly if you like the "synthetic" explanation, go with it. I just like a bit more ritual and philosophy in my Force users! My theory is that the Imperial Knights, who are intensive historical scholars, acutely aware of the entire history of the Jedi and the Sith, also know how this happens. It is my theory that, as part of their training and part of their lightsaber construction, an Imperial Knight squire is forced to face the Dark Side, and purify themselves of it. This ritual requires them to Bleed their crystals, using ancient Dark Side Adept rituals. This represents them pouring all of their remaining hatred, anger, aggression, and fear into their crystals, removing it from their person, ritually. They are then required, under the careful, watchful eye of their Master, to purify the crystals by pouring the light side into them, following the same ritual that Ahsoka used--a ritual their scholars uncovered in their historical research. The end result is a knight, renewed in their resolve, having faced their own darkness, purged it from themselves, and focused through their lightsaber, an extension of them, and a symbol of what they stand for. It's poetic, and from a personal standpoint I really like it. I guess that's that. I just kind of needed to work it out, and here seemed as good a place as any. I'll welcome any thoughts and comments, so long as they aren't of the, "THE OLD EXPANDED UNIVERSE IS COOLER AND SCREW THE NEW CANON" variety. I especially don't want to hear about how much the prequels or The Last Jedi sucked. I don't generally censor posts here (approvals are only in place to filter out bots) but I will just not approve comments of that variety on this particular blog. I don't care about people's hatred of the new canon, or about arguments regarding what constitutes the new canon. So, if you have thoughts about the theory or the ideas presented here, which don't rely upon utterly dismissing aspects of canon, fire away! Let's discuss!